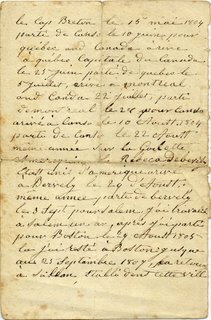 Ogden-Cronin Genealogy Blog: John Simon - Pirate from Bordeaux? Years ago in my grandmothers basement, I came across an old note that looked very interesting. It was dated 1803 – and looked it too. 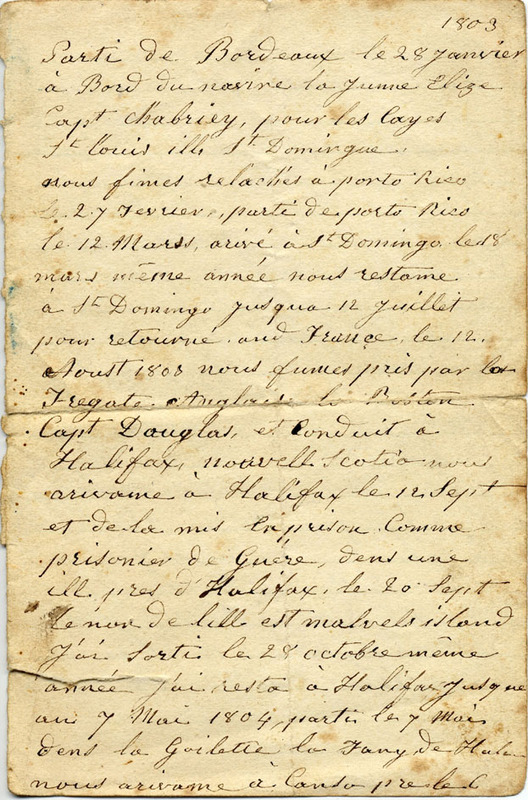 The old handwriting style was hard to read, but I could get the idea that it was describing the voyage of my ancestor John Simon from Bordeaux, France to Salem, Massachusetts; probably written in his own hand since it is written in the first person - and in French! 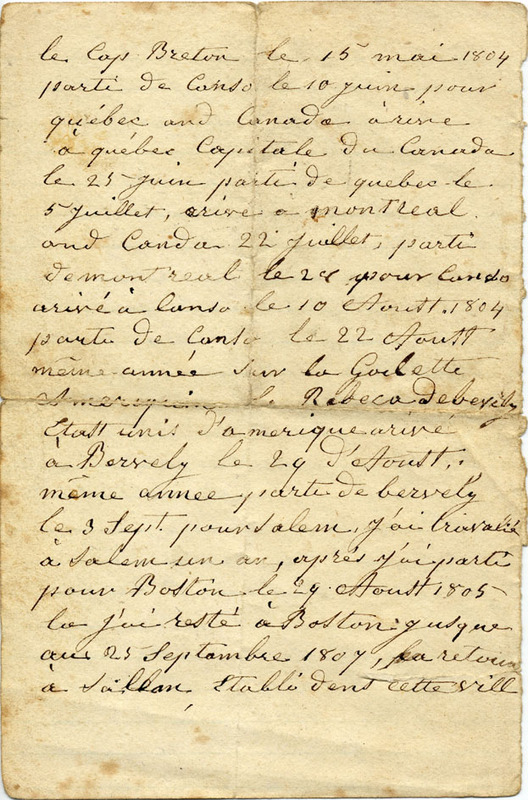 * NOTE: John Simon was married to Sarah Russell Blood on September 20th 1807 in Boston by Reverend W. Baldwin. Well, no mention of pirates. Turns out he was a cooper (barrel maker), which I suppose makes sense since he's from the wine capital of France. And no wonder they were captured by a British ship, since they were at war! Britain and France had just resumed their ongoing wars at the beginning of the year after a short year and a half of peace. 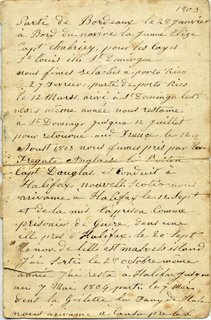 Not sure if he was originally on a military vessel or not; but at the time (1803-1804)Napoleon's France was desperately trying to restore French rule and slavery on the island of San Dominique (now Haiti).